Get a FREE account from ContractorForeman.com iOS: https://itunes.apple.com/us/app/id1239787613?ls=1& Android: https://play.google.com/store/apps/details?id=com.contractorforeman Who says you can’t have it all without spending an arm and a leg? Contractor Foreman gives you access to 22 powerful modules for one VERY low price. Use one module or use them all – it’s still the best deal around. Everything from Estimates to Invoicing, Project Management, Payments, Dashboard, Projects, Change Orders, Safety Meetings, Checklists, Estimates, Invoices/Payments, Punchlists, Daily Logs, Appointments, Timesheets, Expenses, Vehicle & Equipment Logs, Inspections, Incidents & OSHA 300, Employee Write Ups, Correspondence, Directory, Reports, To Do’s & Notes and File & Photos. Super simple and fast to use. Save time on construction management training. 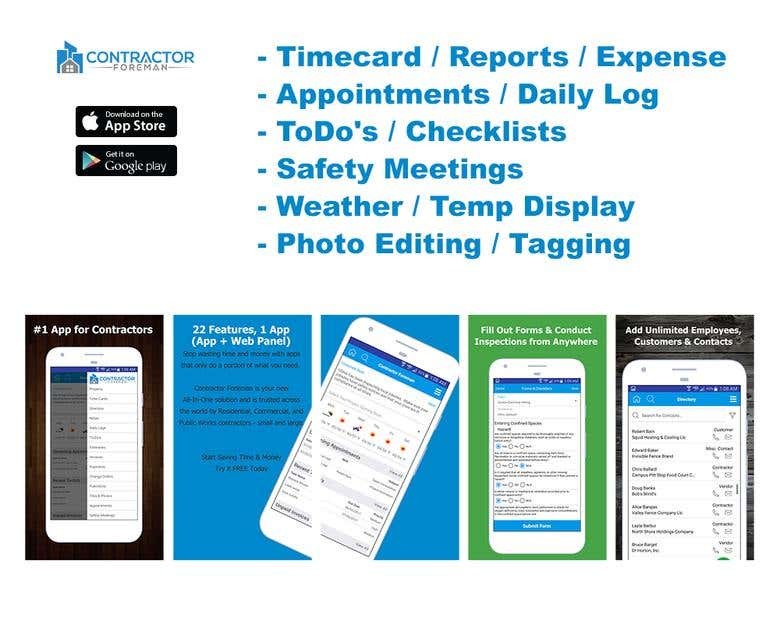 Contractor Foreman works on, iOS, Android, phone or tablet as well as Windows, Apple or Linux computers.